You think your roof might have a slight leak, but you’re not sure. While it may be tempting to delay contacting a professional to check it out, your hesitation could end up costing a lot when it comes to money, health or even a safe place to call home. Locating a repairing even a small leak helps to prevent major roof issues from developing in the future. Keep in mind that even a small leak can eventually turn into a bigger problem when it’s ignored. When leaks of any size are ignored (especially over longer periods of time), your home is at risk for developing mold and mildew. In some cases, toxic black mold could begin to grow and spread inside your roof and your home’s interior. Mold can then travel through your air vents, which can put you at risk for developing respiratory problems and other serious health issues. Mold and mildew can also damage the wood framing and walls in your home. This type of damage is usually costly to fix, especially when you combine it with mold remediation. 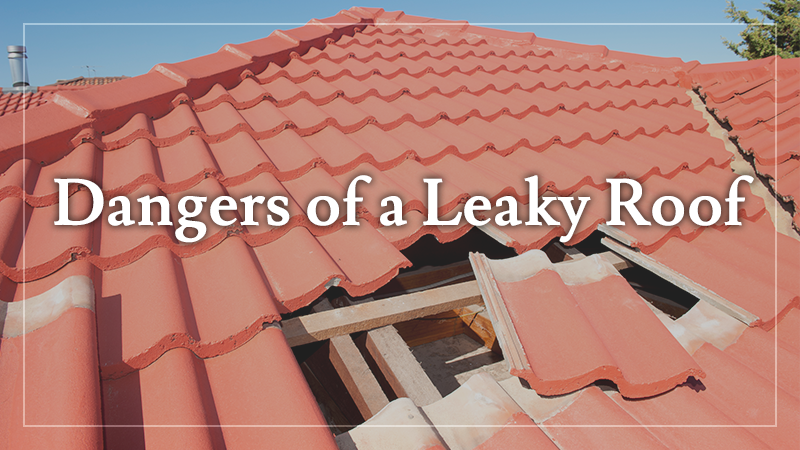 A leaky roof doesn’t affect just one part of your home. The water from those leaks can drip down into the walls and wood frame of the house. Over time, this can cause the wood to rot and become weaker, which puts your home in danger of incurring serious structural damage. With a small leak, this might take a few years to happen; however, it’s still important to repair even minor roof leaks as soon as possible instead of taking that chance. 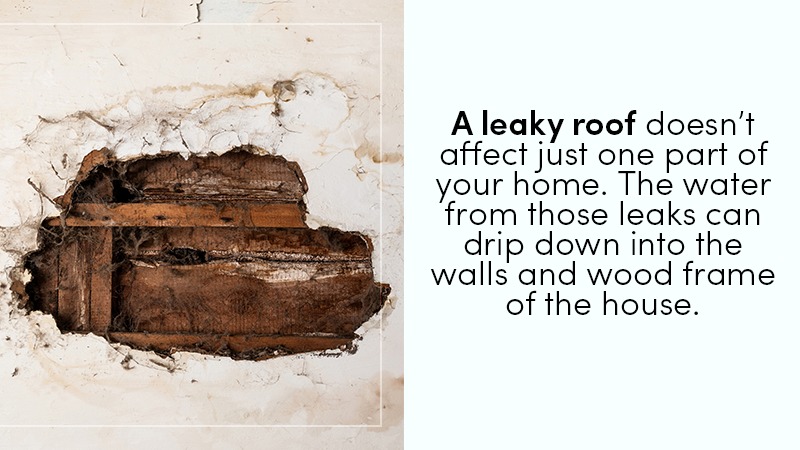 In a much shorter amount of time, more severe leaks can lead to wood rot which could make your home unsafe. Roof leaks can cause problems that have nothing to do with water damage, but these problems are just as dangerous. If water seeps into your walls, it can come into contact with wires that have damaged insulation. This creates a fire hazard that could cause significant damage to your home. If water from roof leaks touches bare wires near metal junction boxes, it creates a shock hazard for anyone who accidentally touches the water. In some cases, this can lead to potentially deadly shocks. If you think you have a leak, you should shut the electrical power off to that part of your home and have it inspected for electrical problems in addition to having the leak fixed. If you have a leaky roof, give us a call today at L&L Contractors. We can handle all your exterior and roofing needs!